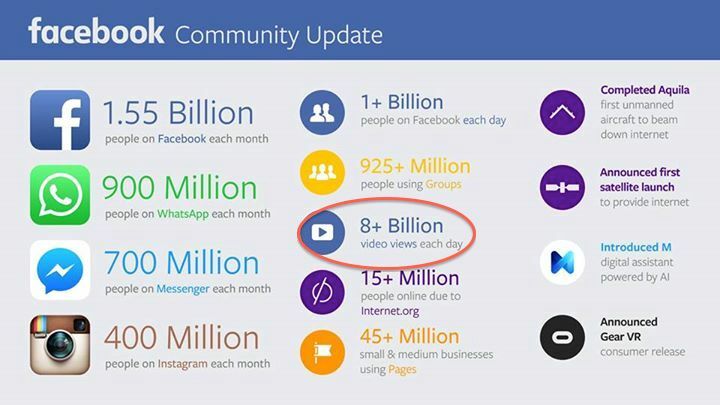 That’s how many videos people watch on Facebook every day, according to company comments after it reported third-quarter earnings today–and it’s double the number just seven months ago. More than anything–Facebook’s 45% ad revenue growth notwithstanding–that’s why companies that make their money on television advertising should be worried. Granted, it’s easy to put too much stock into even a figure as eye-popping as 8 billion a day. Facebook counts any videos watched for as little as three seconds. And nearly all those videos are nothing like television shows or movies. Instead, they’re short videos of your child’s first steps along with trailers for actual shows and movies. So this is not yet prime time advertising as brand marketers think of it. It’s clear that Facebook is now a force to be reckoned with in video advertising, something that seemed unthinkable just a couple of years ago. This entry was posted in advertising, Facebook, mobile, video and tagged advertising, Facebook, television, tv ads, video, video ads. Bookmark the permalink.